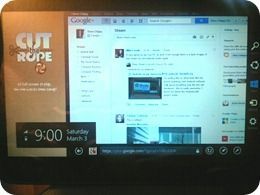 I’m in Hannover, Germany, for CeBit and as I start this article, Sascha Pallenberg of Netbooknews.com is sitting on the other side of our ‘blog apartment’ watching the Windows 8 consumer preview keynote from Mobile World Congress last week. A few evenings ago I was testing Windows 8 on an Atom-based tablet and while all that has been happening I’ve been thinking about Cover Trail W, the ultra-mobile platform that Intel have built to run Windows 8. In dual-core 1.8Ghz build with an SSD and 2GB of RAM I think we’ll have a winner on our hands when it comes to a platform. We can only hope that manufacturers see the potential for new form factors with this platform and operating system combo. In my testing of Windows 8 Beta this week I was getting those old ultra mobile PC and modular computing feelings back again. 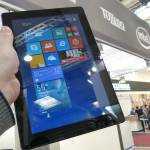 Windows 8 is likely to be the first usable ‘smartbook’ operating system on the market. Android always looks great in demos on the ASUS Transformer Prime but there’s a long road ahead in terms of filling the gaps for productivity workers. There’s a Prime sitting on the desk to the right of me now but this article is being written on a Samsung NP350 which is faster, cheaper, and more productive. I’ll be looking for more information on Windows 8 and Clover Trail W this week. We’ve seen a demo device or two behind glass but maybe now that the public preview is available, manufacturers won’t be so shy with the Windows 8 letting us have hands-on. Is there any big Windows 8 questions that you think need answering? 1. What is the power consumption on Windows 8 vs. Windows 7? Is battery life any better, worse, or the same as before? 2. What is the performance on Windows 8 vs. Windows 7? Do programs load faster on Windows 8, is boot up time shorter, etc.? Think it’s still too early to tell, this is just the consumer preview and not a release candidate. So they still have a lot more changes to make before efficiency can be accurately tested. Windows 8 is suppose to support many of the power saving features that presently you only see in mobile OS on ARM. Like being able to turn off any component that’s not needed, along with new features like variable TDP and other enhancements Intel will be baking into the hardware to boost power efficiency. The Windows 8 blog also already indicates at least new apps will be optimized to run more power efficiently but that may not apply to legacy apps. So it looks promising but a lot still has to be done before we can see if those benefits really pan out or not, or at least provide a significant improvement or not. The faster boot time and lower memory usage is definitely a plus. Battery life, however, seems a bit lower than Win 7, though that is most likely due the lack of efficient Win 8 drivers. I’ve installed it on my Fujitsu Q550. Maybe I’m being a real simpleton here (wouldn’t be the first time) but I’d like to know how to get programs onto the metro system, or onto the desktop system, for that matter. For instance, I was in Firefox and wanted the calculator. Where was it? How do I open it? The only way I could see was to use the search function (is that seriously right?). However, when I typed calculator into the search box, it opened IE and showed me a load of Bing results for the word ‘calculator’! Anybody know where calculator hides in the file system so I can add a shortcut to the desktop? I know that I need to spend a lot more time using it (that’s why I installed it in the first place) but this seemed like a simple task. I’ve also noticed that system settings keep changing when I restart. For instance, the brightness level, which I’ve set up in power settings, keeps reverting to default. Lots of people can no longer find their programs because there is no start button anymore. The programs are still there but available under Metro instead. Obviously MS wants people to start launching everything through Metro. You can still dig through the file system & create your own shortcuts for the standard desktop as well. Thanks for the info, however: It appears I WAS being a simpleton! When I extracted the ISO files onto a USB memory stick I extracted the Developer Preview instead of The Consumer Preview! A whole day wasted! Time to do it all again. that is what i call f””ing up usability. it would have been a wise thing to offer 2 desktop versions at install. one for finger devices and one for traditional pc’s. this forcing everything under a mobilephone desktop on any device is a sheer stupidity and will not make friends friends in any industrial, productive surroundings. You seem too hanged up on keeping the old way of doing things animatio, and confusing that with messing up usability. Point of fact is MS had already started changing that with Windows 7/Vista and the Start Menu search bar and other minor UI changes. Yet most people considered it a improvement! The old Start Menu is arguably becoming obsolete, especially with the huge number of apps we typically use these days means we need a new way to stay organized and get to what we want to do more quickly and efficiently. If Windows 8 has any hope of being a game changer it’s going to have to change a lot of the old and bring at least some new things to the table. While it’s incorrect to state they are forcing everything under a mobile phone interface. At worst it’s just sharing but Metro and Desktop mode will both be offered and Metro will include some optimizations so it’s still usable with a keyboard and mouse. So frankly you seem to be over reacting and unwilling to give the new UI a chance. @james: usability for me means one mode of usage over all (where ever possible). this said, i personally replace thus every new desktop not following the rules of drop down functionality in any os i use at once (did it in win 7 too and gained a lot). in this regard the change of start menus in vista already was a nightmare to use. if done/organized neatly the older xp style start menu is by far the cleanest and fastest way for access to any functionality of usage and follows the same haptic as proper drop down application menu systematics. it is not a question of hate or like but mere neatness of functionality and thus usability. So, it’s a matter of preference then because many consider Win 7 more efficient. In truth what is most efficient depends on what works best for the individual. But if you’re not alone in your preference then rest assured someone will make a custom theme for it. I just hope Intel is not trying to delay the arrival of touchscreen convertible ultrabooks with another round of Atom touchscreen devices. The only missing part at this moment is a touch-friendly Windows OS. 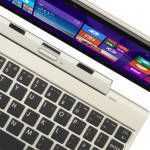 Touchscreen convertible ultrabooks should really be there when Win 8 launches. Atom no longer has the size/weight/power advantage over ultrabook CPUs for running Windows. And unlike the economic outlook back in 2008, the price of Atom CPUs doesn’t bring a lot of advantage either. I wouldn’t worry about the ATOM for this year, pretty much everyone is focused on Windows 8 and Ultrabooks for the PC market, but there’s up to around $200 price difference from ATOM and Core i-Series for just the CPU & chipset! So there’s reasons why a netbook can be gotten for usually in the $300 or less range and Ultrabooks are still $799 on up! While the main thing about Ultrabooks is they’re thin and light but they’re not smaller and don’t cover the 10″ range that netbooks do, and they still don’t provide the run times that ATOM systems can provide. Though that balances against the higher performance Ultrabooks provide. Windows 8 will also have multiple versions and those include a version for ARM and a Windows 8 Starter Edition, which means netbooks! So apparently both Intel and MS haven’t given up on that product category. Mind also, this may be a bad year for netbooks but Intel is finally making progress on entering the mobile market and next year they’re giving the ATOM a complete re-working with the 22nm Silvermont that will be taking advantage of many of the same new technology that Ivy Bridge is introducing. While also next year Haswell will evolve Ivy Bridge to a SoC and some other enhancements that should be when Ultrabooks can really take off. win 7 already IS TOUCH FRIENDLY if properly configured and installed. the problem with actual atom devices is not cpu power – its graphics processing power. realtime graphically driven applications on a high res screen (touch or digitizer) need this. there is the bottleneck on any intel graphics only device. atom or icpu or which ever. While Windows 7 is perfectly usable if as you say it is properly configured for a tablet but a touch friendly OS has to be designed from the ground up to be truly touch friendly and this has never been done before for Windows until Windows 8. There are also hundreds of other changes being made to Windows 8 that will, among other things, make it more energy efficient and perform more efficiently than Windows 7. So they’re not just changing the UI! While better graphical performance will definitely help with ATOM performance with tablets. However, CPU performance is also important and the problem has been up till now that the ATOM can barely do more than run a Windows OS properly without anything else running. Mind many ATOM tablets also have netbook resolution screens, yet they still performed poorly. Things like the touch screen, digitizers, and even some animation effects, all require CPU performance. Add many versions of the ATOM used in tablets up till now have mostly been the extra low powered versions to provide better run time and lower heat generation, but this provided even less than average performance for ATOM systems. Along with the fact the ATOM is still a In Order Processor and most up till now have been single core pretty much limited its responsiveness and added to the sluggishness that most complained about. However, dual core is now the norm and graphical performance is a little more than doubled with Cedar Trail. While power consumption is down enough for them to use the mainstream ATOM instead of the extra low powered versions. 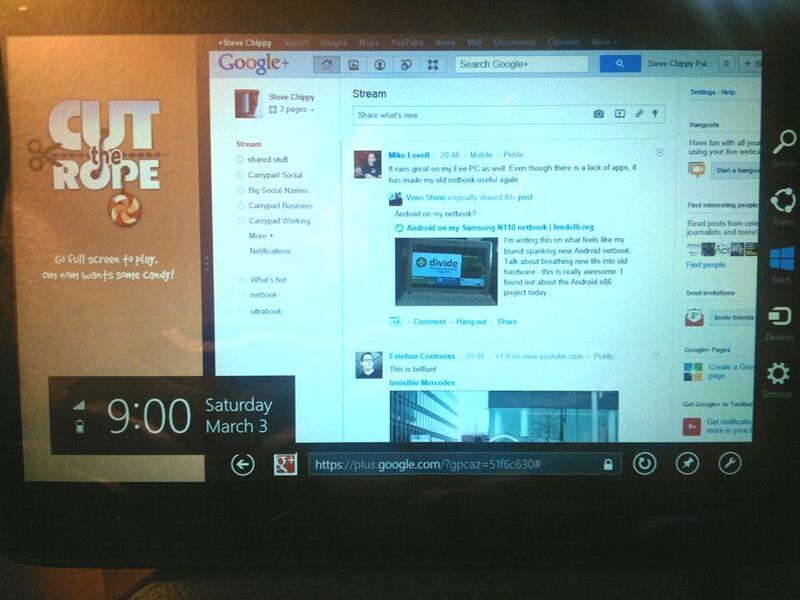 So newer ATOM tablets don’t necessarily have to be completely terrible anymore. While there are also AMD Fusion Z-01 Desna as an alternative before having to go to much more powerful solutions. Though as mentioned before I don’t think we’ll be seeing much in that category this year but at least we may have to rethink our opinion of the ATOM come next year and the 22nm Silvermont update, when they finally add Out Of Order Processing, offer dual to octo cores, provide a even better GPU, put all versions on SoC, and pretty much rework everything. While on the higher end we got Haswell to look forward to as well. 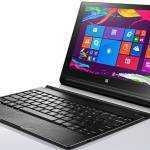 Convertible ultrabooks should be here this year. Win 8, with it being a full OS and with a focus on touch UI, is “Wind in the right direction” to push that product category. Am hoping for a return to the UMPC form factor. Not likely, I know, but I am frustrated with using a touch-only tablet. I spend 2 hours commuting to and from work in the subway while standing. Am composing this now during my commute, with a Galaxy Tab (the 7″ Mark I). Posting a comment in this ‘working environment’ takes way too much effort and time. Something like a updated Viliv N5 or Samsung U1 would be great. that is exactly the reason why i still like my eee900HD 8.9′ netbook (the one with atom). 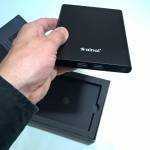 small enough to be hand held if needed, powerful enough to run all my business applications and then some. ideal form factor for carrying it around all the time. « Acer S5 at CeBIT this Week. We’re There Too.